Five years ago today, the Supreme Court of Ghana handed down its decision in the now almost obscure The Republic v High Court (Commercial Division), Accra, Ex Parte Attorney-General, NML Capital Ltd. 1st Interested Party; Republic of Argentina, 2nd Interested Party case. In international circles – both legal and political- the case and the story of its journey through the courts of Ghana still continue to evoke both mysticism and horror. However, its almost cult-like following abroad has had little or no incidence on the way in which the case is viewed or has been discussed, if at all, by legal commentators in Ghana. For international law enthusiasts, the case, known to them by its ITLOS moniker the “Ara Libertad” case, not only raises more questions than it answers, but also throws up the murkiness of how international law interacts with democratic procedures, and particularly makes the case for why international legal scholarship must dispel the myth of the unitary state and come to terms with a disaggregated view of the “state” and of inter-branch politics. For Ghanaian constitutional lawyers, however, the decision throws out all they thought they knew about constitutional law, and along with it the constitution. In essence, this case means different things to different people and sometimes it even means different things to the same people at different moments. You come out of reading the case, wanting to read it again. As a result, to comprehensively do justice to the case and the discussions it prompted or should have prompted, one would need a series of 100 blog posts. This piece does not propose to do that which is best reserved for the 100. Instead, the piece focuses exclusively on the Ghana proceedings and intervenes to reflect on only the aspect of the decision that explores the relationship between international law and Ghanaian law. 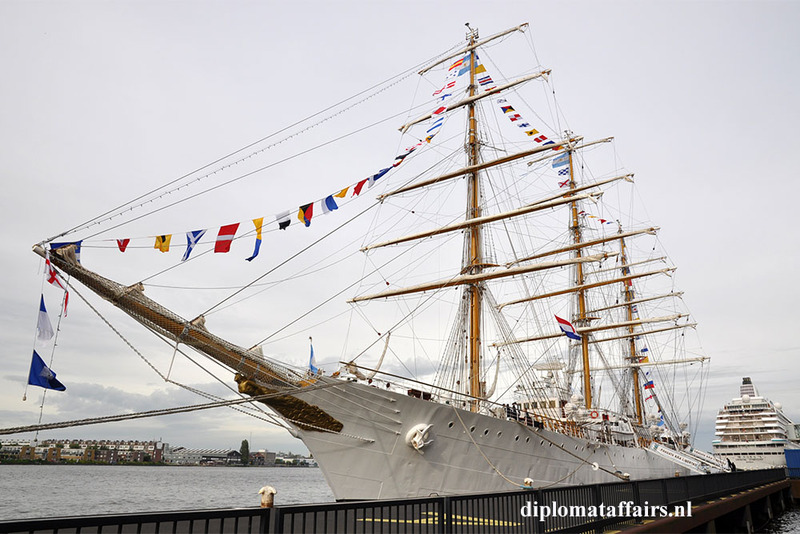 On October 1, 2012, the ARA Libertad, which serves as a training ship for officers of the Argentine navy docked at the Tema Port. The next day, 2nd October 2012, NML Capital Limited (“NML”), one of Argentina’s creditors, sought an injunction in the High Court for satisfaction of judgments rendered against Argentina in NML’s favour. The High Court granted the said injunction upon hearing an Ex parte motion by Ace Anan Ankomah, Esq., on behalf of the plaintiff. On, 9th October 2012, the High Court presided over by His Lordship Justice Richard Adjei-Frimpong heard an application filed by Counsel for the Argentine Republic, praying the Court to rescind its order. 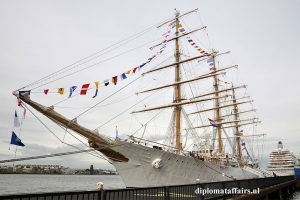 Argentina through its counsel argued, that Argentina enjoyed sovereign immunity in foreign courts under customary international law, and particularly that the naval vessel enjoyed immunity from attachment under general international law, and under the UN Convention on the Law of the Sea. In opposition this application, the plaintiff invited the Court to agree that under certain exceptions allowed under the international law, and in particular the terms of a bond (Fiscal Agency Agreement) concluded between Argentina and NML Capital Ltd, Argentina had waived its sovereign immunity on the Agreement and in respect of the attachment of its assets, including even the naval vessel. In addition, the Judge accepted the view that previous judgments obtained by the plaintiff against Argentina in the United States and a consent judgment given by United Kingdom House of Lords – which recognized that by virtue of the Fiscal Agency Agreement, the Argentine Republic had exercised her right under international law to waive her immunities, and indeed did expressly waive those immunities under the Fiscal Agency Agreement – were recognizable and enforceable in Ghana under common law. In accordance with Articles 132 and 162(3), the Attorney General invoked the supervisory jurisdiction of the Supreme Court and sought an order of certiorari to quash the High Court’s decision. At the time the order was sought, the International Tribunal of the Law of the Sea (ITLOS) had already granted an application brought by Argentina for provisional measures against Ghana under Article 290(5) of the UN Convention on the Law of the Sea (UNCLOS) regarding the detention of the ship. In addition, and most importantly, by the time the decision on the regularity of the High Court’s order came to be considered by the Supreme Court, the frigate had already left the shores of Ghana. Despite, reaching the conclusion that “the main purpose of the learned Attorney-General in bringing this application for certiorari and prohibition would seem to be to enable the Republic to comply with the orders of the International Tribunal on the Law of the Sea”, the Court curiously blanks on the glaring fact of the mootness of its intervention and on the fact that the Executive had participated in disregarding the still controlling order of the High Court. First, the Supreme Court elected to query “the relationship between international law and municipal law in Ghana” and in this case particularly, whether the 1992 Constitution extends the dualist attitudes of English Courts in Ghana. The Court, it appears, considered this exercise necessary because the Attorney-General had urged the Court to accept the Executive’s view of Article 75 of the Constitution as being a proper vehicle to domesticate international agreements in Ghana. “(1) The President may execute or cause to be executed treaties, agreements or conventions in the name of Ghana. Two things are noteworthy about the 1969 provision: first, the provision purported to limit the legislature’s role in the execution of international agreements to only “matters within the legislative competence of the National Assembly.” However, the meaning and even full effect of that limitation were always uncertain. For instance, under that Constitution, the limitations to the legislative authority of the National Assembly were few, and it was unclear whether the President had any authority to could conclude international agreements that would affect legislative powers conferred on bodies other than the National Assembly in the first place. It is thus not surprising that subsequent iterations of the provision under the 1979 and 1992 Constitutions dropped this ambiguous qualifier. Second, prior to the adoption of the 1969 Constitution, the common law approach, that the Supreme Court now vaunts to the exclusion of the clear text of Article 75, prevailed as the only way in which previous international agreements were being executed. For instance, both the 1957 and the 1960 Constitutions did not previously provide any specific direction as to how international agreements could or should be executed. In effect, it is clear that what Article 59 of the 1969 Constitution sought to do was to first preserve the then prevailing common law approach and second, to complement that approach with a peculiar and novel proposition, i.e., the execution or ratification of international agreements by ‘a resolution of the legislature supported by the votes of not less than one half of all the members of that body’. Significantly, the 1969 Constitution, like the 1979 and the 1992 Constitutions did not propose any hierarchy between the two methods of ratification or domestication of international agreements, and did not confer different legal statuses on the product of a ratification procured by an Act of Parliament as opposed to international agreements ratified or executed by resolutions of Parliament. Unfortunately, the Supreme Court’s decision does not address why this dual approach to the domestication of treaties proposed by three successive constitutions of Ghana, including the current one, should be denied effect. The Court offers no direction as to what makes the Article 75 proposition undesirable, absurd or to use the Court’s words “spectacularly erroneous”? Perhaps, what is disturbing about the Supreme Court’s decision is not only the fact that the Court elevated the injury of our colonial past above the Constitution our people gave themselves, or that it failed to free our jurisprudence from the “shackles of obsequious intellectual civility to colonial paradigms” but because the Court missed a chance to interpret the only controlling constitutional provision in Ghana. In fact, nowhere in the decision, does the Court pause to review the language, tone or text of Article 75 and to interrogate whether the Article and our written constitution, which rejects colonial conceptions of parliamentary supremacy, also proposes to part from English common law doctrines concerning the subaltern status of our treaty commitments. Also, considering that Article 75 of the Constitution is the only provision in our laws that deals with the subject of the ratification of international agreements, one would expect that the Court would consider closely the meaning, scope, and constitutional antecedents of the provision, particularly in light of our unique constitutional history. It may seem appealing to argue that since Article 11(1)(e) of the 1992 Constitution incorporates the common law into our laws, the Supreme Court’s decision and approach can be supported. First, such an argument not only diminishes the supremacy of direct constitutional prescriptions within our legal order. It also elevates “the common law” and foreign practices above the Constitution. Also, to be clear, there is room to argue, and perhaps compellingly, that Article 75’s interaction with Article 11 of the Constitution is not clear-cut. Particularly, that in the enumeration of “laws” that bind our Courts and to which our judges should submit, only those sources of “law” listed under Article 11, to the perhaps odd exclusion of “resolutions” like those in Articles 31, 68, 75, 82, 95(2), 113, 174, 178, 180, 181, 268, 278, 297, are law properly so called. But, even if one was to make such an argument, what should the Courts make of the fact that Article 11(1)(b) prefers the phrasing “enactments made by or under the authority of the Parliament established by this Constitution”? Are resolutions of Parliament “enactments”? In any event, irrespective of the validity, or even utility of those arguments to the consolidation of our democracy, Constitutions must be given room to breathe within their historical context and in a way that reflects the aspirations of the people that adopted it. The tragedy of the Supreme Court’s decision and its approach is that it denied the Constitution of its oxygen. In addition, the Supreme Court’s inattentiveness discounts the constitutional and juridical nuances that a careful consideration of the above-enumerated articles could evoke, the constitutional intention behind the different legal terminologies, and particularly how the articles integrate to situate the various branches of Government and the power play that the constitution anticipates would better protect liberty. That is the cost to the Republic of the “obsequious intellectual civility” to another man or woman’s laws and to the promises of foreign constitutions, whether written or unwritten.